On one dark and windy night, Ozzy steps out of bed, jumps out his window, and walks straight into the ocean. It’s as if someone is controlling Ozzy’s mind. He’s saved by Sigi—Rin’s daughter—and Clark, a mechanical robot bird. 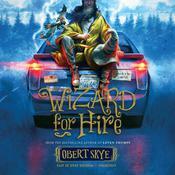 More than ever, Ozzy could really use the services of Rin, the Wizard for Hire. When a mysterious package arrives in the mail containing a plane ticket and a thumb drive, Ozzy is certain it’s from Rin. But when Ozzy, Sigi, and Clark arrive in New York, Rin isn’t there. Instead they are met by the man who was the money behind the mind-controlling “discipline serum” created by Ozzy’s parents. Ozzy was the final test case and is now the key to discovering the serum’s secret. He is a very valuable boy. Once again, he’s on the run. As fate would have it, Rin appears just in time. But Rin’s goal is more than a rescue mission. He needs an apprentice to cement his status and notoriety in the magical realm of Quarfelt—assuming the place even exists. 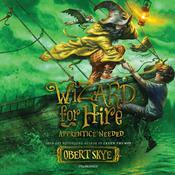 As Rin’s apprentice, Ozzy must complete five tasks to receive the Gift of Wonder. 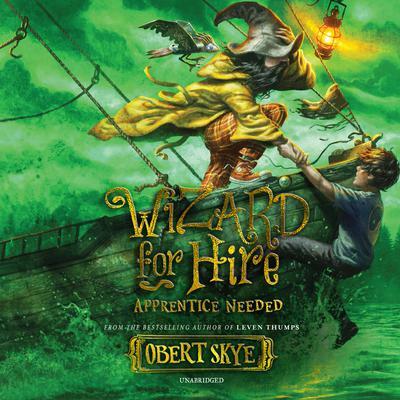 Ozzy is willing to help, but is now really the best time to enter a contest for wizards when something is controlling his mind? Especially when someone is out to destroy the people he loves? 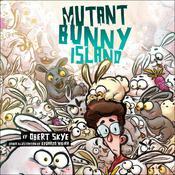 Obert Skye was born on a stormy night in the back of a fast-moving taxi. He spends his time telling all who will listen about the existence of Foo and the importance of dreams. He is a fairly ordinary fellow who says he is simply hoping to repair what he has mistakenly undone. He is also the bestselling author of the world renowned Leven Thumps series. Though he used to live in Austria, he now lives in America near a thin, winding road.